The constant fear of being alone in certain situations can create some problems. Even the thought of one of your loved ones alone can strike uneasiness at times. Thanks to the ever-growing landscape of technology, the ability to have a personal warning/emergency caller is available for anyone in need. Silent Beacon is creating a device by changing the infrastructure of personal alarm systems without the user shelling out tons of cash to own one. A device small enough to latch onto a keychain can offer users the ability to call for help and send their location to any emergency contact and 911. 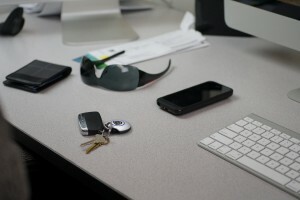 The Bluetooth device is smartly designed to connect with your smartphone, tablet, or computer. As long as there is a Bluetooth connection, the personal alert device can be activated and work anywhere. Plus, the device is waterproof. There are a number of other devices available from various security systems. But the devices come with multiple payments and end up costing hundreds per year to just use it. Some may say it’s worth it and others not, but the price does hurt those who are struggling and can’t afford it. A chart listed on Silent Beacon’s website shows that at least $300 need to be spent yearly to set-up a personal alert system. Silent Beacon only costs $59.99 a year and you have the additional option to add their call center option, which will bump up the price more, but still considerably cheaper than the next option available. The Silent Beacon app also is available for free for users and allows them to tap into Silent Beacon’s plethora of options. 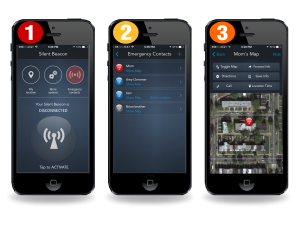 Configure who gets alerts, set emergency contacts, enable GPS, and more. Silent Beacon has already reached their goal on their crowdfunding campaign on Indiegogo. Raising over $50,000 people are seeing Silent Beacon as a promising product. Calling for help because you have been attacked, getting into an automobile accident, work-related injury, or have a life-threatening medical condition are just some of the many reasons as to why Silent Beacon can be such a great device for all ages. Anybody can get into a serious situation and knowing you have a way to get in touch can have people breathing a little bit easier. Never be alone again.